From Forever 21 to Saks Fifth Avenue and restaurants galore, the shopping malls and outlets in Arizona have it all. All of these great shops will help you achieve that look you’re going for. Shop 'til you drop at our favorite shopping malls and outlets in the state. The stores at SanTan Village truly have it all—from fresh new styles to classic wardrobe staples you just can't live without. Whether you're in the market for a deal or are looking for something a bit more upscale like a piece of fine jewelry, SanTan Village has you covered. Looking for diamond-infused skincare? Or, maybe you just want a simple slice of pizza from California Pizza Kitchen. Well, Biltmore Fashion Park offers residents of Phoenix and the surrounding area both of these things, and so much more! See for yourself today. Make shopping an event at the Chandler Fashion Center. Browse at all of your favorite stores, and when you've worked up an appetite, grab a bite to eat at one of the many restaurants. With a splash pad and free WIFI, the kids will be entertained, too—so you really can shop 'til you drop! With over 170 stores and a wide array of dining options, there's something for everyone in the family at the Tucson Mall. 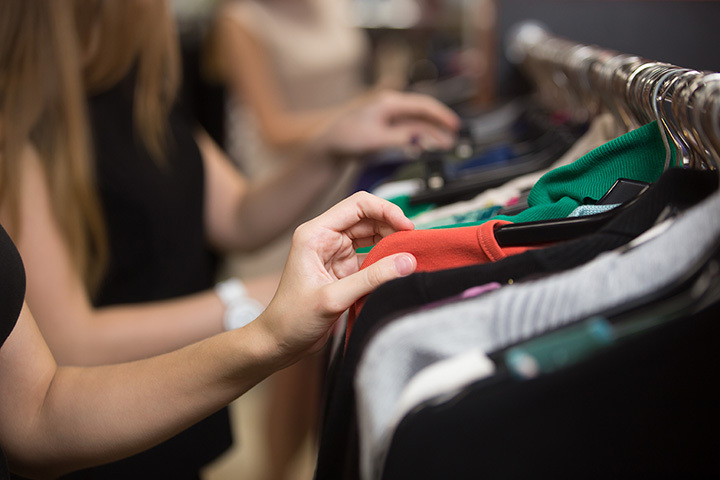 You'll find mall staples like Forever 21, PacSun, and Old Navy, along with some more unique stores like Cotton On, Earthbound Trading Company, and Hat Club. Something's always happening at the Paradise Valley Mall. Check the calendar to see what's going on—and don't forget to bring the kids, as the free Kids Club offers games, music, activities, and more. While you're enjoying the mall and its events, they can be making memories too! To stay up to date on the latest events and sales, check out the mall website. If you're looking to lap up the luxury, head to Scottsdale's Fashion Square. Here, you'll find luxurious brands, upscale amenities, and sales and events exclusive to the Scottsdale mall. You'll find brands like ALLSAINTS, Burberry, Michael Kors, to name a few. Shopping is fun, but it's more fun when you find a deal. And at Arizona Mills, deals are all over the place! Don't wait to stop by, or you might miss something great! From Brooks Brothers to Coach, Tucson Premium Outlets really offers the best in premium, high-quality brands. When you're looking for luxury or are just happy with Old Navy and a cup of coffee from Starbucks, you'll find it here. Boasting trendy brands like Lululemon Athletica, Under Armour, and Calvin Klein, the Tanger Outlets is where you'll want to shop if you're a 20-something with a flair for fitness-forward fashion and an Instagram account featuring hashtags like #MyCalvins. Find your new favorites here and don't forget to show them off to your fans! The Phoenix Premium Outlets truly have it all. From mall favorites like Old Navy and Gap to Banana Republic, Coach, and Adidas—there's something here for everyone, no matter what style they're into. Join the VIP Club for access to additional offers online, and you'll save even more. How great is that? !